Over 180,000 Zimbabwean nationals living in South Africa have applied for official documentation to allow them to stay, work, study and conduct businesses legally in the country, the department of home affairs said on Thursday. The department of home affairs is deploying 425 additional staff members and will extend operational hours at the country`s busiest ports of entry during the festive season to deal with the increased number of travellers into and out of the country. The reversal of the unabridged birth certificate rule is just one of the many changes implemented by the Department of Home Affairs. South Africa will implement some changes to its visa system in December 2018 which will likely impact tourism and immigration procedures. A frustrated tourism industry welcomes the gazetting of birth certificate amendments. Foreign families who arrive in South Africa from visa-free countries will no longer need to carry birth certificates for minors. Tourism sails ahead in the job creation sector. The tourism sector in South Africa is said to be one of the most promising contributors to the SA economy and GDP growth. It has also been noted as a high-potential job-creation engine across the diverse work feeders into the tourism landscape. Cape Townâ€™s newly elected Mayor, Dan Plato, announced on Thursday (November 29), that the Cityâ€™s water restrictions and associated tariffs would be lowered from Level 5 to Level 3 recovery restrictions, effective Saturday, December 1. IOL - 3 December 2018, Rustenburg - Lesotho has amended her constitution to allow for dual citizenship, Lesotho Home Affairs Minister Tsukutlane Au said on Sunday. 2. Home Affairs legalises Zimbabweans living, working and studying in SA target=\"_blank\"
3. Home Affairs ready for festive season target=\"_blank\"
4. South Africa adopts new visa rules: Hereâ€™s what you need to know target=\"_blank\"
5. At last! Easing of birth certificate requirements gazetted target=\"_blank\"
6. 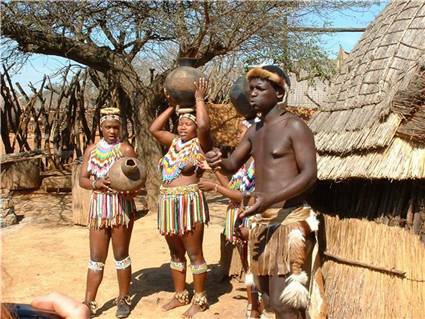 SAâ€™s tourism sector shows outstanding employment figures target=\"_blank\"
7. Cape Town welcomes lowering of water restrictions target=\"_blank\"
8. Lesotho amends constitution to allow for dual citizenship target=\"_blank\"